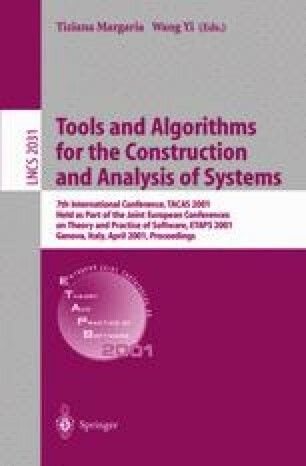 This paper describes the architecture of the loop tool, which is used for reasoning about sequential Java. The loop tool translates Java and JML (a specification language tailored to Java) classes into their semantics in higher order logic. It serves as a front-end to a theorem prover in which the actual verification of the desired properties takes place. Also, the paper discusses issues related to logical theory generation. G.T. Leavens, A.L. Baker, and C. Ruby. Preliminary design of JML: A behavioral interface specification language for Java. Techn. Rep. 98-06, Dep. of Comp. Sci., Iowa State Univ. (http://www.cs.iastate.edu/~leavens/JML.html), 1998, revised May 2000. J. Rothe, H. Tews, and B. Jacobs. The coalgebraic class specification language CCSL. Technical Report TUD-FI00-09, Dresden University of Technology, Department of Computer Science, October 2000. Available via http://wwwtcs.inf.tu-dresden.de/TU/Informatik/Fak/berichte.html.